Fuel Economy, Hypermiling, EcoModding News and Forum - EcoModder.com - What is an Allroad and why can't even McGuyver keep one running? Blame it on the fact that you need more than a paperclip to fix a car. 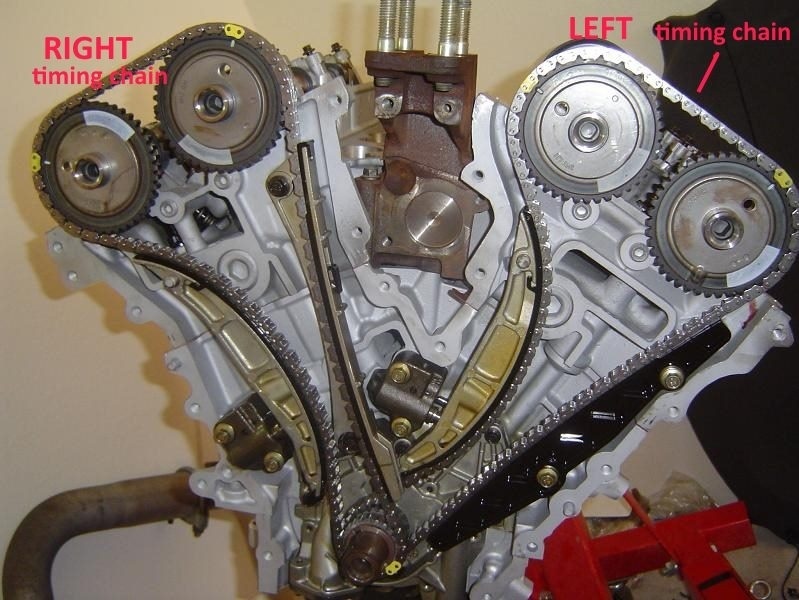 Legend says the timing chain tensioners are plastic. Ahhh Audi. This is why I don't buy your cars. 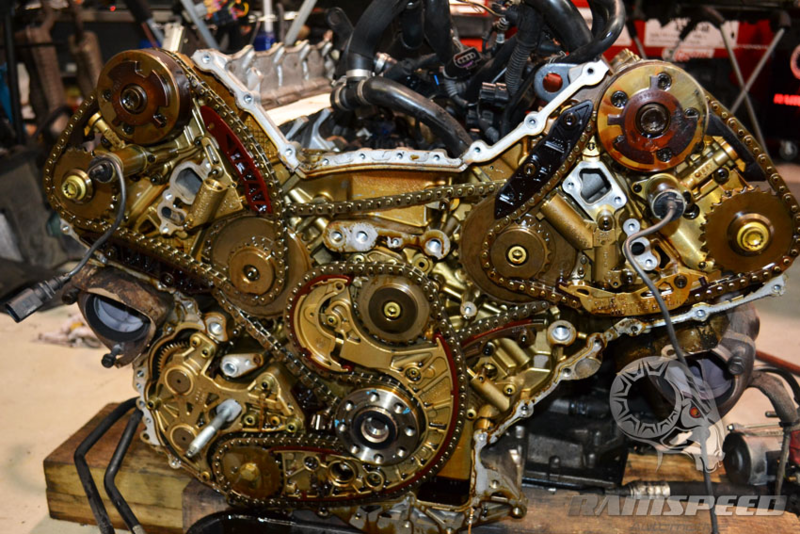 What advantage does this spaghetti system offer over a good old Mazda timing chain, for instance. Sometimes I wonder why would Audi develop its own wide-angle V6 instead of simply resorting to the VR6. Or simply keeping the straight-5. Fat?! 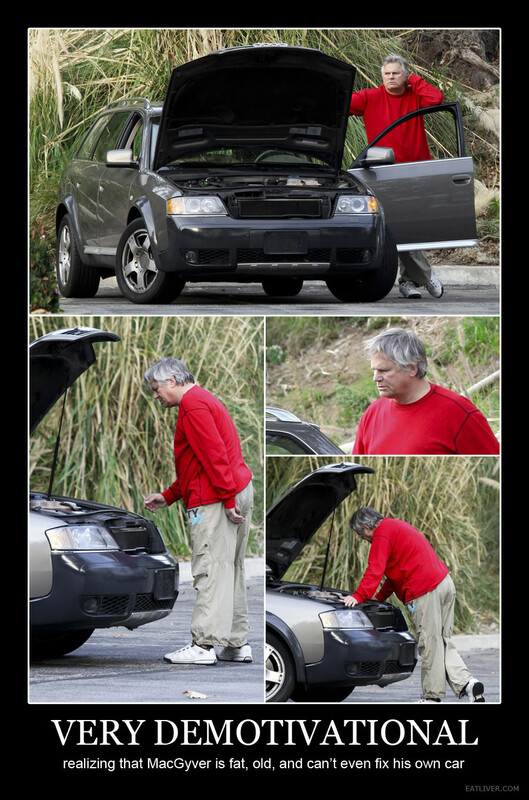 My wife got her picture taken with Richard Dean Anderson earlier this year. He's leaned out quite a bit since then...he looks good. Don't even get me started on VW stuff. The two 2000 VWs my parents had occupied both extremes of the reliability spectrum. But from what I gather, a "reliable VW" is usually an oxymoron. I wonder if old Volkswagens are still more reliable than new ones. At least the old-school air-cooled and the EA827-powered Volkswagens used to be praised for their reliability. My current VW has had no issues. I'm still not keeping it out of warranty.